The conservation status of a species indicates the likelihood that it will become extinct. Many factors are considered when assessing the status of a species; e.g., such statistics as the number remaining, the overall increase or decrease in the population over time, breeding success rates, or known threats. The IUCN Red List of Threatened Species is the best-known worldwide conservation status listing and ranking system. Over 50% of the world's species are estimated to be at risk of extinction. Internationally, 199 countries have signed an accord to create Biodiversity Action Plans that will protect endangered and other threatened species. In the United States, such plans are usually called Species Recovery Plans. Mexican Wolf, the most endangered subspecies of the North American Grey Wolf. Approximately 143 are living wild. Captive individuals survive, but there is no free-living, natural population. Faces an extremely high risk of extinction in the immediate future. Faces a high risk of extinction in the near future. Faces a high risk of endangerment in the medium term. May be considered threatened in the near future. No immediate threat to species' survival. An observed, estimated, inferred or suspected population size reduction of ≥ 50% over the last 10 years or three generations, whichever is the longer, where the reduction or its causes may not have ceased OR may not be understood OR may not be reversible, based on (and specifying) any of (a) to (e) under A1. A population size reduction of ≥ 50%, projected or suspected to be met within the next 10 years or three generations, whichever is the longer (up to a maximum of 100 years), based on (and specifying) any of (b) to (e) under A1. An observed, estimated, inferred, projected or suspected population size reduction of ≥ 50% over any 10 year or three generation period, whichever is longer (up to a maximum of 100 years in the future), where the time period must include both the past and the future, and where the reduction or its causes may not have ceased OR may not be understood OR may not be reversible, based on (and specifying) any of (a) to (e) under A1. Severely fragmented or known to exist at no more than five locations. D) Population size estimated to number fewer than 250 mature individuals. E) Quantitative analysis showing the probability of extinction in the wild is at least 20% within 20 years or five generations, whichever is the longer (up to a maximum of 100 years). ^ Particularly sensitive to poaching levels. ^ May vary according to levels of tourism. Under the Endangered Species Act of 1973 in the United States, species may be listed as "endangered" or "threatened". The Salt Creek tiger beetle (Cicindela nevadica lincolniana) is an example of an endangered subspecies protected under the ESA. The US Fish and Wildlife Service as well as the National Marine Fisheries Service are held responsible for classifying and protecting endangered species, and adding a particular species to the list can be a long, controversial process (Wilcove & Master, 2008, p. 414). Another problem with the listing species is its effect of inciting the use of the "shoot, shovel, and shut-up" method of clearing endangered species from an area of land. Some landowners currently may perceive a diminution in value for their land after finding an endangered animal on it. They have allegedly opted to silently kill and bury the animals or destroy habitat, thus removing the problem from their land, but at the same time further reducing the population of an endangered species. The effectiveness of the Endangered Species Act – which coined the term "endangered species" – has been questioned by business advocacy groups and their publications but is nevertheless widely recognized by wildlife scientists who work with the species as an effective recovery tool. Nineteen species have been delisted and recovered and 93% of listed species in the northeastern United States have a recovering or stable population. Currently, 1,556 known species in the world have been identified as near extinction or endangered and are under protection by government law. This approximation, however, does not take into consideration the number of species threatened with endangerment that are not included under the protection of such laws as the Endangered Species Act. According to NatureServe's global conservation status, approximately thirteen percent of vertebrates (excluding marine fish), seventeen percent of vascular plants, and six to eighteen percent of fungi are considered imperiled. :415 Thus, in total, between seven and eighteen percent of the United States' known animals, fungi and plants are near extinction. :416 This total is substantially more than the number of species protected in the United States under the Endangered Species Act. ^ "IUCN Red List version 2012.2: Table 2: Changes in numbers of species in the threatened categories (CR, EN, VU) from 1996 to 2012 (IUCN Red List version 2012.2) for the major taxonomic groups on the Red List" (PDF). IUCN. 2012. Retrieved 2012-12-31. ^ "NatureServe Conservation Status". NatureServe. April 2007. Retrieved 2 June 2012. ^ "Red List Overview". IUCN. February 2011. Archived from the original on May 27, 2012. Retrieved 2 June 2012. ^ "Threatened Species". Conservation and Wildlife. Archived from the original on September 13, 2012. Retrieved 2 June 2012. ^ "The Tiger". Sundarbans Tiger Project. Archived from the original on 17 September 2012. Retrieved 2 June 2012. ^ Abramov, A.; Belant, J. & Wozencraft, C. (2009). "Gulo gulo". IUCN Red List of Threatened Species. Version 2009.2. International Union for Conservation of Nature. Retrieved 2010-01-25. ^ "Categories and Criteria (version 3.1)". 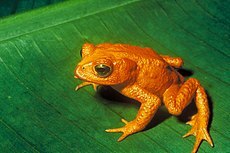 www.iucnredlist.org. ^ Shogren, Jason F.; Tschirhart, John (eds.). Protecting Endangered Species in the United States: Biological Needs, Political Realities, Economic Choices. Cambridge University Press. p. 1. ISBN 0521662109. ^ Courchamp, Franck; Elena Angulo; Philippe Rivalan; Richard J. Hall; Laetitia Signoret; Leigh Bull; Yves Meinard. "Rarity Value and Species Extinction: The Anthropogenic Allee Effect". PLoS Biology. Retrieved 2006-12-19. ^ Dharmananda, Subhuti. 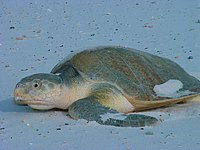 "Endangered Species issues affecting turtles and tortoises used in Chinese medicine". Institute for Traditional Medicine, Portland, Oregon. Retrieved 2006-12-19. ^ "Shoot, Shovel and Shut Up". Reasononline. Reason Magazine. 2003-12-31. Retrieved 2006-12-23. ^ "USFWS Threatened and Endangered Species System (TESS)". U. S. Fish & Wildlife Service. Archived from the original on 2007-07-28. Retrieved 2007-08-06. ^ a b Wilcove & Master 2008. ^ "Haliaeetus leucocephalus (Bald Eagle)". www.iucnredlist.org. Retrieved 2015-11-01. ^ Freedman, Bill (2008). "Endangered species". Gale (4th ed.). ^ Chiras, Daniel D. (2011). "Invader Species". Grolier. Online. ^ "Captive Breeding Populations - National Zoo". Nationalzoo.si.edu. Retrieved 2009-12-06. ^ "Association of Zoos and Aquariums Species Survival Programs". Archived from the original on 2009-08-03. ^ Shi, Haitao; Parham, James F.; Fan, Zhiyong; Hong, Meiling; Yin, Feng (2008-01-01). "Evidence for the massive scale of turtle farming in China". Oryx. 42. Cambridge University Press. pp. 147–150. doi:10.1017/S0030605308000562. Retrieved 2009-12-26. ^ a b "Turtle farms threaten rare species, experts say Archived 2012-02-18 at the Wayback Machine". Fish Farmer, 30 March 2007. Their source is an article by James Parham, Shi Haitao and two other authors, published in February 2007 in the journal Conservation Biology. ^ The Top 10 Everything of 2009: Top 10 Scientific Discoveries: 5. Breeding Tuna on Land, Time magazine, December 8, 2009.